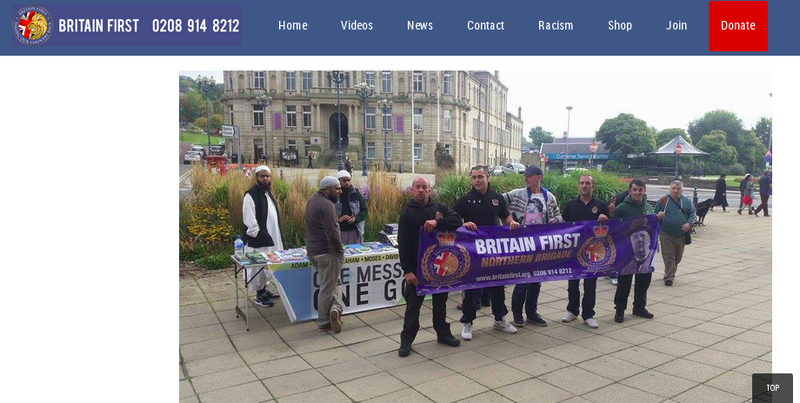 Yesterday there was a far-right march and counter demonstration in Bishop Auckland, County Durham. 1. Conditions of the showers in Moria detention center, Lesvos, Greece. This day the Greek vice-minister of immigration, Muzalas, visited Moria to have a look at the situation inside. The minors in Moria are officially not allowed to be kept imprisoned, so they get to go out for half an hour every day. These 30 minutes out is the big thing of the day, what the minors are waiting for every day. On the 26th, they where not taken out at the usual time, assumable because of the visit of the vice-minister, and hour after hours of waiting they became more furious that they were not let outside. To express their rage they threw water over the vice-minister, who was removed out of the prison wet directly for his safety. A few minors started to rebel further on by setting things on fire, presumably trash bins and other burnable materials. The police reacted by beating up these minors, which enraged more and more minors. 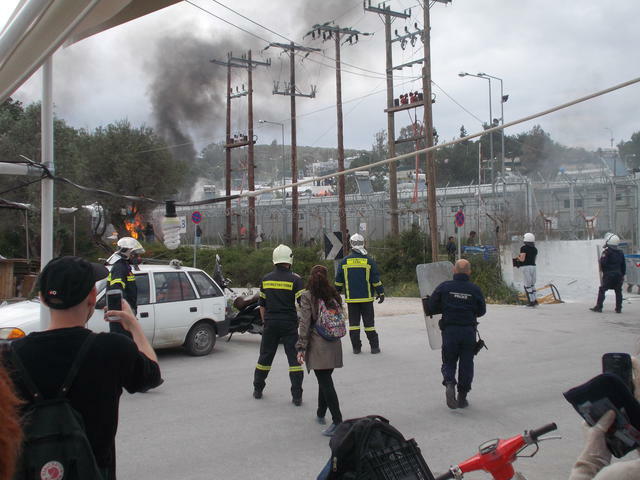 Around 4 o’clock they started to rebel at the main gate of Moria, setting trash bins on fire and throwing rocks at the riot police (who is stationed just outside the main gate of Moria 24/7). The riot police went inside but had to pull back after a few minutes, running for their lives together with translators, Frontex officers and people who work in Moria. 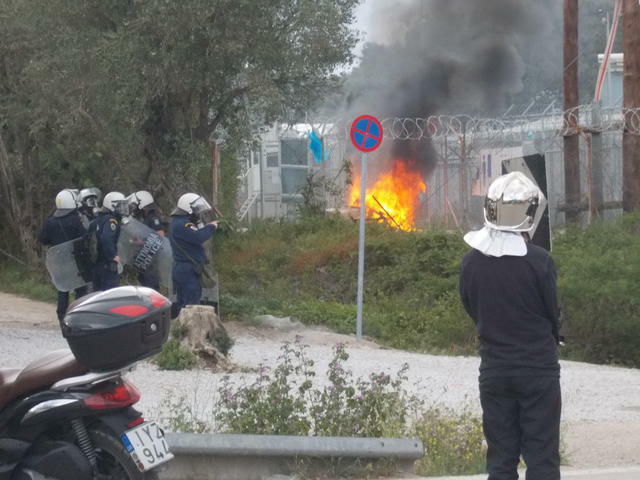 The riots spread to different sections of the prison, where refugees managed to break down the fence and go outside of Moria to seek confrontation with the riot police. The riot police was clearly outnumbered and unprepared, and the refugees had the chance to seek confrontation with the police for hours. Teargas was shot without effect since there was no wind at all. The refugees managed to break into the office that has control over the main speakers in Moria, shouting ‘freedom’ over the speakers hear-able all over the camp, and got entrance to the registration center where they destroyed documents and computers. In the night people started to climb on top of the buildings, set up more fires through the camp and attempt to destroy the buildings itself. Also there were several more attempts to destroy fences on the inside. In the end the police went back inside, trying to desperately break up the riots by shooting several flashbang grenades at short distance, presumably aiming straight at refugees. 5 ambulances were driving on and off the site, unknown whether they were taking wounded cops or refugees to the hospital. What happened after that remains unknown, since the police ordered the last witnesses to leave the area and the police then shut down the complete road to Moria on both sides, making it impossible for anyone to get close. In the morning the situation was calm again. For us these incidents show that humans can not be kept imprisoned without having an emotional reaction of resistance to it. We support refugees in their struggle for justice, acknowledgement of their situation and existence in Europe and abroad by the European Union, and we support them for their FIGHT FOR FREEDOM!